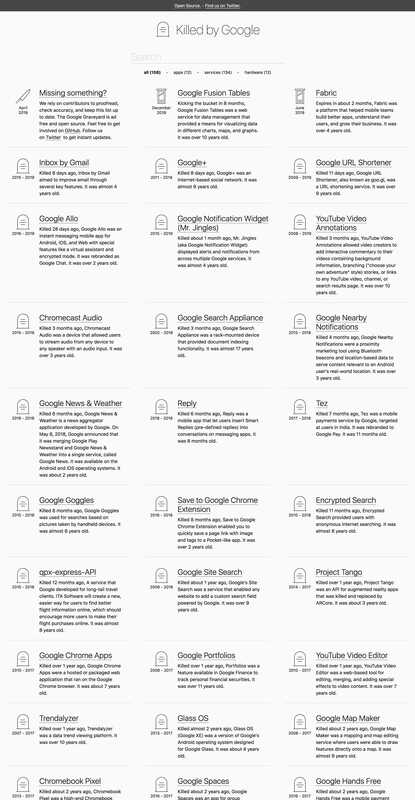 Brutal One Pager curated by Cody Ogden tracking all of Google’s dead products. Damn Cody! Killed by Google is the Google graveyard; a free and open source list of discontinued Google services, products, devices, and apps. We aim to be a source of factual information about the history surrounding Google's dead projects.